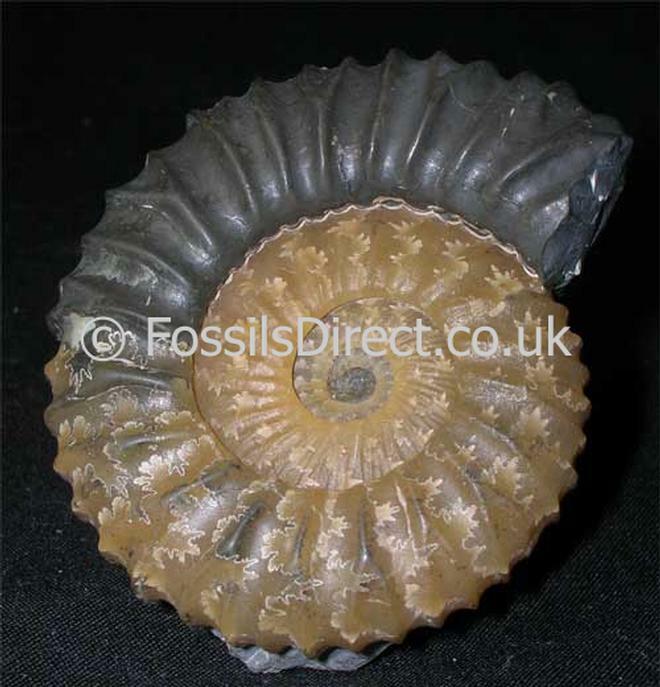 This incredibly rare Kimmeridge Clay ammonite has been preserved in solid yellow calcite and most of the living chamber is also preserved. 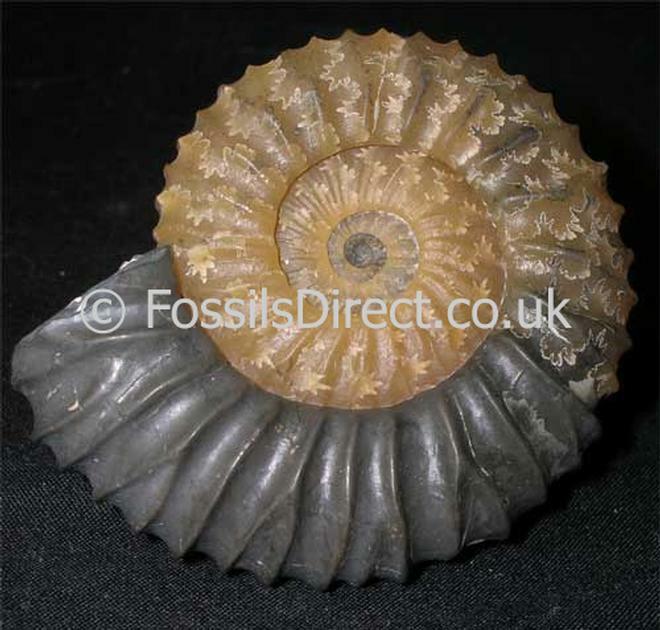 Ammonites of this rarity are highly sought after worldwide by serious collectors of fine fossils. 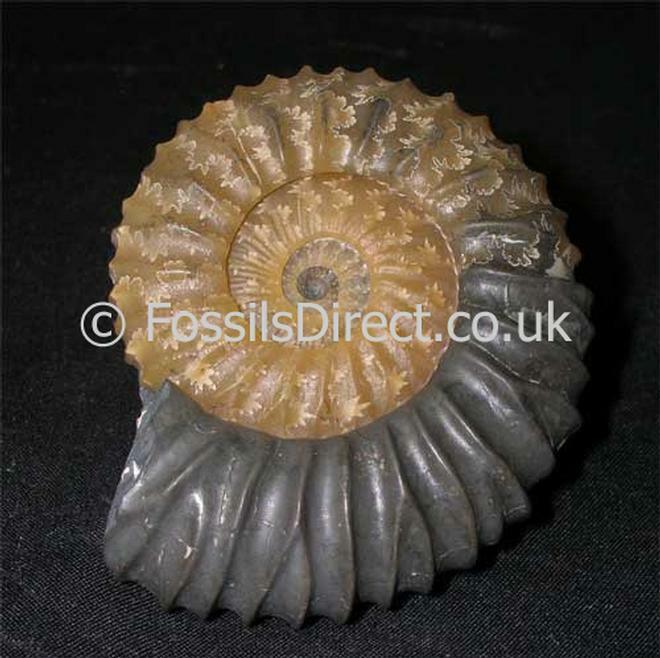 The quality is superb and the ammonite's sutures are stunning. 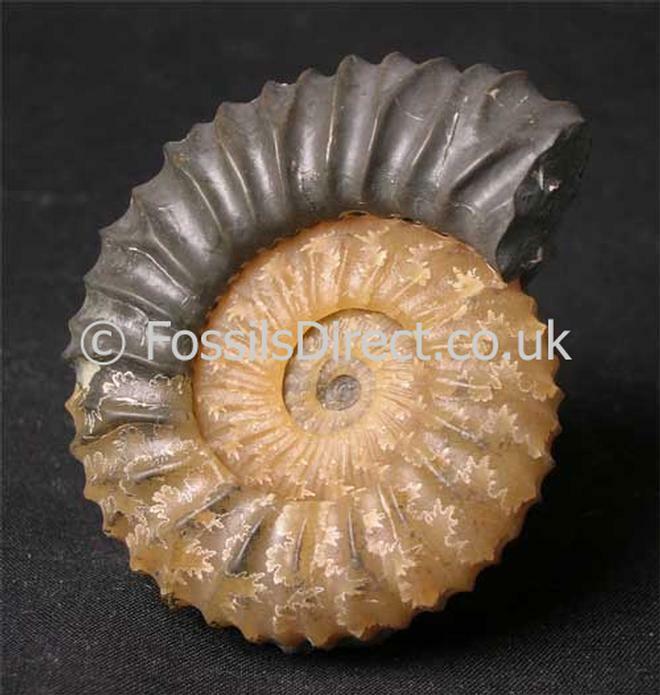 The ammonite was preserved in a small nodule with still half the nodule on the reverse side. This is also a large example Approximately 153 million years old.